Apparently it is 4 weeks till Disneyland opens it’s doors for Fall Dapper Day, meaning it’s about 5 weeks till Paris does their event and 6 weeks till Orlando kicks off their event. While I can’t talk too much about Dapper Day in California, since I have never been to the park there I wanted to take today’s post to talk about the little perks you get when you buy through Dapper Day’s official site. Dapper Day is technically billed as a convention due to their use of the convention space at Disneyland’s Grand Californian Hotel, so they offer things like convention rate tickets and rooms. This year’s event at Disney World will offer convention rate rooms, and again will provide tickets as well. Through your designated event page on Dapper Day’s website, you will find links how to obtain both rooms and tickets at convention rate prices. 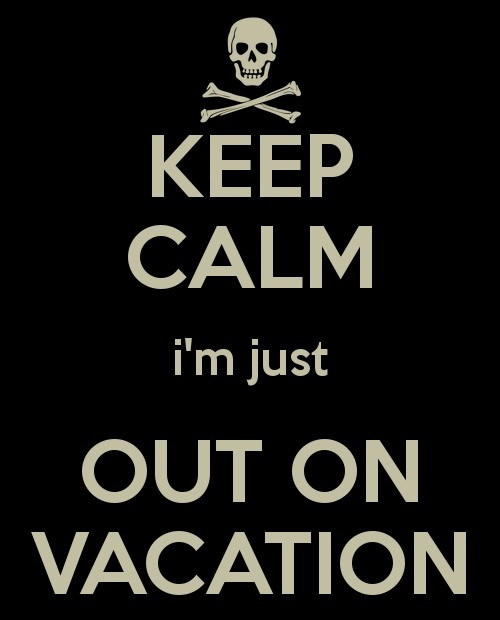 This Fall Walt Disney World is offering rooms at Port Orleans French Quarter and rooms at Wilderness Lodge. While tickets can be purchased online, the rooms must be purchased via phone and calling the reservation line at Walt Disney World and following the prompts. Though all the information for rooms and hotels can be found online, one of the things I learned this spring was how to use the convention rate tickets. While my boyfriend and I purchased our passes online, we went with the one park, after 4 option since Magic Kingdom was having Extra Magic Hours and we had an on property room it didn’t matter. The convention rate tickets are actually pretty fairly priced, and you have a lot of options to pick from for your trip. It’s also cheaper than one day pass through the ticket booth at Disney, this is due to the raised prices at the park as of the start of 2015. But in order to pick up your tickets you do need to stand at Will Call and wait to speak with a guest relations cast member. It helps if you have the card used to purchase in hand, as well as an ID for them. The good thing about the passes at Walt Disney World is that you can have your passes put on your magic band making it easier for everyone in the party. So that was a nice little perk, since your room and everything else can be done through the bands. Another thing to remember going in with the tickets is knowing all the policies before purchase and making sure that if you have any questions to contact Disney ahead of the event to ensure no hiccups. The after events for Walt Disney World at least are normally free, though last fall we met at Atlantic Dance Hall which had a cover charge. This year the event is being held at The Boathouse in Downtown Disney which shouldn’t have a cover charge. While we skipped out on the Spring event for more rides, there are people who meet for other activities throughout property so you aren’t forced into joining any official events. For Walt Disney World Guests it should be noted that about half of Hollywood Studios is closed currently, due to the expansions being done at the park to accommodate for the new rides and attractions the park has few rides. 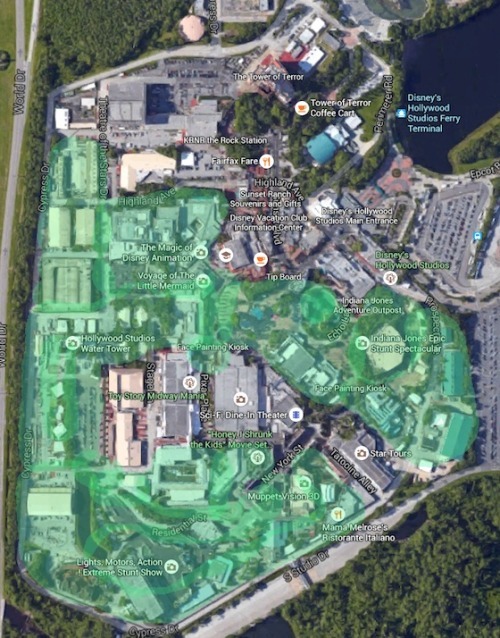 The above map from Theme Park insider shows the amount of closures at Hollywood Studios, everything in Green is closed, while the non-highlighted areas are open. Though the closures shouldn’t stop anyone from going, many folks will be meeting up and just bringing a group can change the whole experience. Tomorrow we look at surviving your first Dapper Day what to bring and what to do.